← Do you know your heart age? Last week GVMH hosted a team of examiners from the Excellence in Missouri Foundation as a follow-up to the Missouri Quality Award application we had submitted in the spring. The purpose of the site visit is to validate that we do what we say we do and to ask questions that can’t be answered within the limits of a 50 page application. While on-site the team met with individuals from GVMH who were in involved with the preparation of the application and they also visited over 260 staff. Two examiners spent their entire time on-site visiting all of our locations and walking the halls talking to staff. We will receive our feedback report in about a month and the feedback will provide us information on what we can continue to do to grow and improve as an organization. Prior to the examiners leaving they held a brief exit conference and the message they sent should make all of us feel good. The examiners were overwhelmed by the friendliness and cooperation of staff across the entire organization they saw our mission “exceptional services with friendliness and compassion” come to life. Great work! Just after the start of the school year I posted a blog about how meaningful GVMH’s presence at Henry Elementary was on the first day of school. Students, educators and parents all commented on the positive vibe that carried through the day and well beyond. GVMH continues to be involved with Henry Elementary as the building sponsor and will be assisting with an awards presentation and a carnival in the coming weeks. 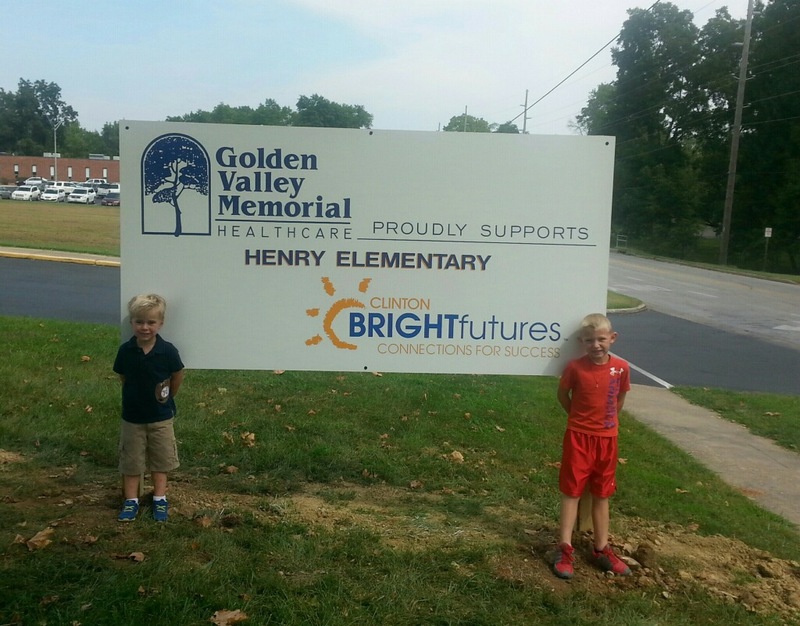 A sign was recently placed in front of Henry Elementary to promote GVMH’s partnership with the school. The sign wasn’t placed for recognition or promotion but we do want kids and parents, as well as the community, to know we are committed to the success of Henry Elementary and we take our partnership seriously. The sign is an accountability tool for us and a reminder to the community. GVMH’s mission is to provide exceptional health and wellness services. Health and wellness extends beyond the four walls of the hospital. We play a part in the success of our community and that success is contingent upon laying a framework for success for years to come. Brightfutures provides an opportunity for all of us to contribute to the success of children in our community. Stay on the lookout for ways to get involved.